Landing Page vs Website – Can you build your business on landing pages only? 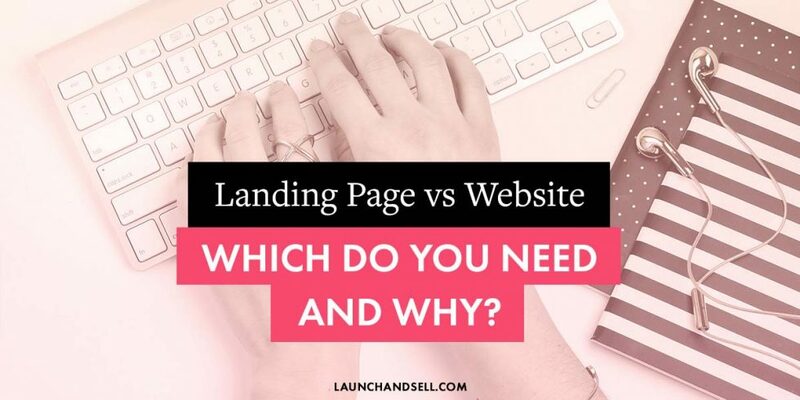 Landing Page vs Website – Which Do You Need And Why? When it comes to building a successful online business, choosing the right platform is absolutely essential. Websites are nothing new these days and most businesses have one. Landing pages, however, are the new kid on the block and are being hailed for their incredible ability to capture leads. Just what exactly is a landing page and how can it be used to build a business? Do you need a full website, or can a landing page suffice? In this article we’ll cover the misconceptions surrounding landing pages and explain which platform you should choose to create and scale your successful online business. Landing pages are created for a specific audience and with only a single purpose. They are designed to focus a visitor – or lead – on a single an action, for example: enter their email address to receive more information. Leads refer to people who are interested in your products but who have not yet made a purchase. Landing pages have evolved really fast. You can easily set up a full-scale sales funnel for your business, and more, using landing pages. Why you would use a landing page? There are many reasons to use a landing page. The action you would like a visitor to take depends on the goals you have for your online business. Sell digital or physical products. What does a typical landing page design look like? Landing pages will differ in design depending on each business. However, there are certain core design elements to landing pages that are universal to all, regardless of niche or industry. As you can see from this list, the design of a landing page is uncluttered. Landing pages simplify information and present it directly to the visitor in order for him or her to take a single action. I’ve shared all I know about exactly how to design a highly converting landing page in a separate blog post dedicated to boosting your leads. 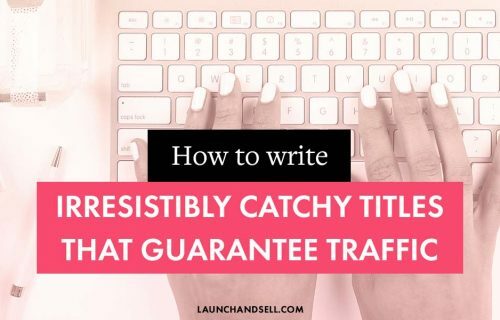 If you own a website already, you could also place enticing links within your content to lead your visitors to your landing page. What are the pros to using a landing page? Let’s take a look at some of the pros to building a landing page instead of a full website. The distraction-free zone of your landing page makes it very easy for a visitor to quickly make a choice related to your business. This is advantageous because web users have a short attention span and businesses only have a few seconds in which to capture interest and prompt decision making. A well designed, simple to use landing page will increase conversions because it is easy for a visitor to take action. The more actions taken on your landing page, the more positive growth you will see as potential customers register their interest for you to follow up (or by making a sale straight from the landing page). A highly converting landing page will recoup the cost of the paid ad campaign you may have chosen to market it. Landing pages facilitate a higher rate of action taken by visitors to your page and this significantly improves your ad campaign. Not only are landing pages simple to set up, they are even easier for your leads and visitors to use, which is absolutely essential for your business success. Their template based design means that you can easily make different versions, which helps you trial the best style of funnel for your leads. Most businesses will reward visitors who submit their email address with something that provides them with value for free. This is a great strategy for building an email list of interested potential customers who want to learn more about what you can offer. A landing page is the perfect place to include testimonials from previous happy clients and customers to boost your credibility. A new lead will find this evidence incredibly reassuring as they review the clear and persuasive content on your landing page that subtly compels them to take action. Most tools used to create effective landing pages will have built-in A/B testing capabilities to help create split tests for your landing page. This means you are easily able to review how well your landing page is performing and the impact small tweaks have on your sign up rates. What are the cons of using landing pages? Although there are thousands of templates available, landing page builders do not give you the complete freedom to create a totally unique landing page. It is not easy to export HTML from one landing page platform and integrate it into another one. This means you may have to redesign your landing page if you choose to move from one provider to another. Since most landing page builders are built around the Software as a Service model (SaaS), landing page owners are forced to make yearly or monthly payments. Websites have been around for a very long time and have been used by many businesses that want to set up an online presence. Websites hold data and information about your business and the products that you offer. Most people will expect to see that a business has an online presence, so a branded website has been an effective way of conveying information and building brand confidence for many years. What are the pros of a website for your business? The size of a website allows a business to offer broad range of information. For example, a business can advertise their latest event, blog post and products all in one place, which helps to provide a great service for their audience. Websites are great for branding your business. With a well-designed website, you can create a good impression, prompting your visitors to take action. Landing pages can quickly and easily be set up then fail to deliver. Having a full website shows that you do not take your online presence lightly. Building and maintaining a website takes a lot of commitment, which sends a strong signal to your potential customer that they can trust your business and that you are here to stay. What are the cons to having a business website? A full website can be a distracting place for potential customers because they offer a lot of information all at once. Bombarding customers with an array of choice has been proven to reduce sales. Too many options are likely to lead to your customer’s indecision; you force your customer into decision paralysis. Setting up a website costs time and money. There are costs associated with purchasing a domain name and organising a web hosting package if you want to go self-hosted. Then, creating the website can be technical and a little overwhelming if you have not done it before. Fortunately, platforms such as Squarespace and Wix can do all this for you. To understand your choices, the time and cost involved in setting up a website, read this in depth comparison to help you choose the perfect solution (wix vs wordpress vs squarespace). Can you build a business with only a landing page only or do you need a website? A lot of successful businesses out there are making money just from landing pages. By using a landing page, these companies are able to encourage visitors to quickly make a decision. Without the distraction of a full website, the visitor is able to concentrate on what is being offered, leading them to make a purchasing decision faster. Don’t worry if you’ve already got a website. Third party software, such as the Thrive plugin, enable businesses to integrate landing pages into their existing website. To make this even easier, many website themes now offer landing page experiences as a standard feature, such as the WordPress themes available from Launch & Sell. Take a look at how you can add beautiful, high converting landing pages to your website. My expert opinion here at Launch & Sell is that landing pages are here to stay. 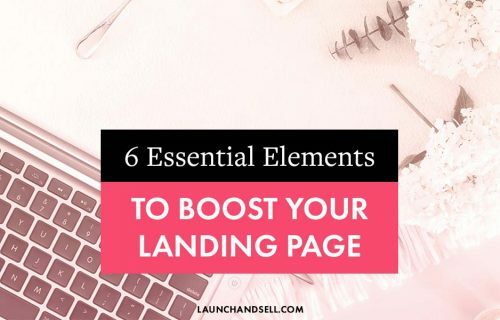 You should be using landing pages to build your online business as they will help you to focus in on your goals and generate interested leads and happy customers. My top tip is to design a compelling landing page first and you can then build a website afterwards to compliment it. I know that’s a lot of information to take in, so hit me with your landing page questions! Or, share your experience of using landing pages for your business by leaving a comment.